New York (29 September 2018) – Minister for Foreign Affairs Pradeep Kumar Gyawali has said there is no dispute among the South Asian Association for Regional Cooperation (SAARC) member states regarding this regional organization but there were some differences within it which could be sorted out. He said this while speaking in a joint interaction with the journalists who have come here to cover the 73rd United Nations General Assembly and those Nepali journalists working in the United States of America. The Foreign Affairs Minister is in the Nepali delegation headed by Prime Minister KP Sharma Oli which was here to participate in the UNGA. Minister Gyawali said Nepal was in no way responsible for the SAARC Summit which was to be held in 2016 not taking place till date and added that it was effortful towards creating conducive environment in SAARC. Stating that SAARC was alive and kicking, he said although its Summit has not taken place, its other processes were functional and all have the desire to take it forward as it was an organization of 1.7 billion population. 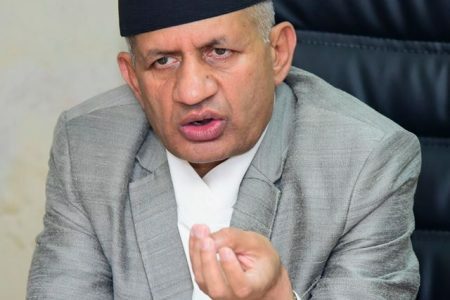 In response to a query regarding Prime Minister not addressing the journalists overall, Foreign Minister Gyawali said attempts had been made to inform the maximum number of news organizations possible regarding the achievements made by Nepal and the Prime Minister had also interacted with the journalists. He explained that this situation resulted because of the lack of time and the lack of a common network of the Nepali community in New York. Asked about what level and the size of the group was appropriate to participate in the United Nations General Assembly, Minister Gyawali said which rank of representative is sent to participate is decided by the country concerned and this time the representation was from the Prime Minister since the government wanted to send the message from the highest level itself. He added that the western countries were represented in the general assembly of this world body mostly by the Head of the Government. Reiterating that a country like Nepal has to make much use of its diplomatic capacity than its other capacities, he said only this (diplomatic capacity) was a big refuge. He said there was no truth in the allegation that the large delegation has come to the USA because they had fascination to visit America and travel on board airplane. The Foreign Minister, in his response to a query of journalists about the India’s (unofficial) 2015 border blockade against Nepal, said he had personally experienced such situations twice before (in 2027 and 2045 BS) as well as the latest one which had ‘undesirable and indescribable pains’ to the Nepalese people. According to him, Kathmandu, the central capital of Nepal, would face the similar fate if four bridges around it got collapsed and thus self-sufficiency must be developed. 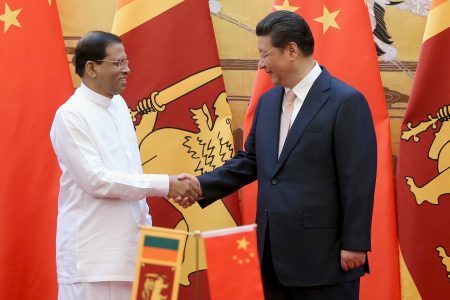 He went on to say that process was underway to open various transit points with China. Nepal has sought an easy access to the sea route via China and permission had also been sought to use any ports of China. Similarly, the government had planned to conduct a feasibility study in the Narayani River (first phase) and Koshi River (second phase) for connecting Nepal to the sea via India. He took the time to express his hope that Kathmandu- Raxual and Kathmandu-China railway services would be started in eight years at the most, adding that Nepal could serve as a transit trade point between India and China again. In his reply to a question that the Nepalese Army has not got chances to serve in the senior posts of the United Nations Peacekeeping Missions, the Foreign Minister said Nepal had contributed to the peacekeeping operations in every difficulty, it had already 60 years since the country had been serving such operations and many Nepali soldiers had got martyrdom during this course. He added that a request had been made to highly recognize such contributions. A size of the Nepali delegation to the UNGA session would be determined by the agenda the country raised in the event and related programmes, and the Prime Minister Oli’s delegation this time was the right size, he further added in response to another query from journalists.